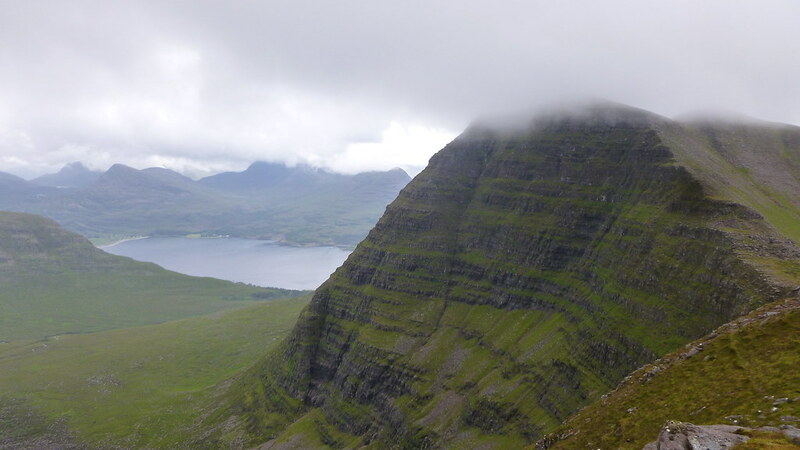 Beinn Alligin - the hardest route is sometimes the easiest! We set off from the designated car park and up the track to the left of the bridge. 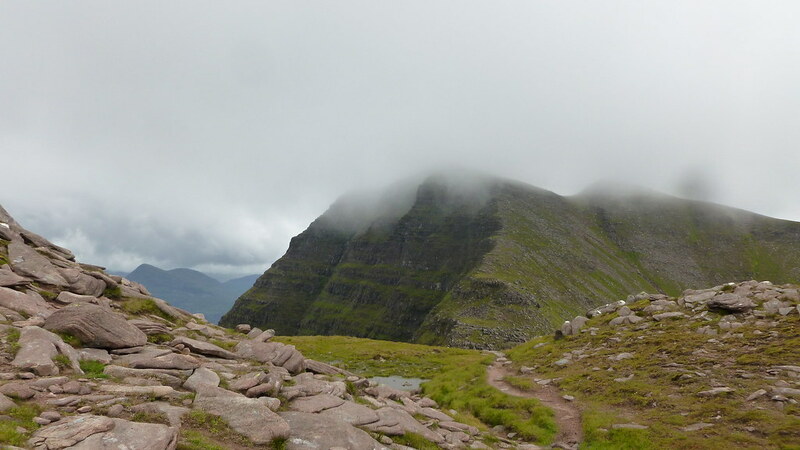 Unlike Beinn Eighe there was no long easy path to break us in. It was uphill from the word go. We were soon moaning and groaning and shedding layers. 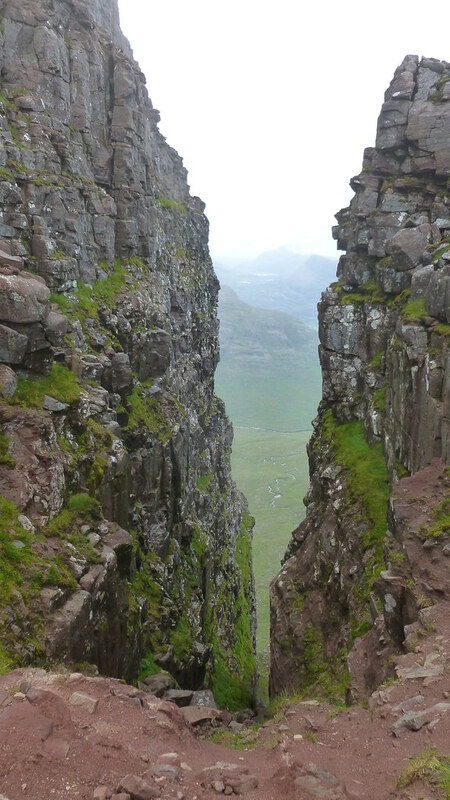 Tricky as it was, it certainly gets you up quickly and the views opened up. 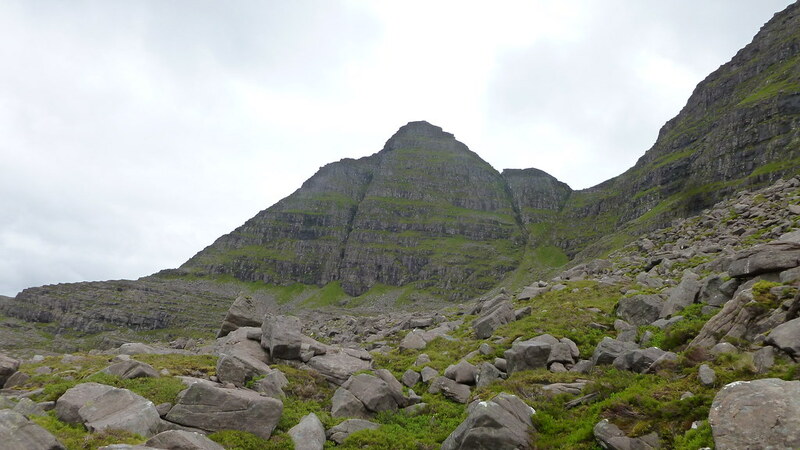 We kept climbing and climbing, making our way into Coir’ an Laoigh which is very steep sided and steep underfoot, but incredibly sheltered – not a breath of wind. The erosion control step-makers had been at work here which was lucky as it was steep enough we might have slid all the way back down otherwise! 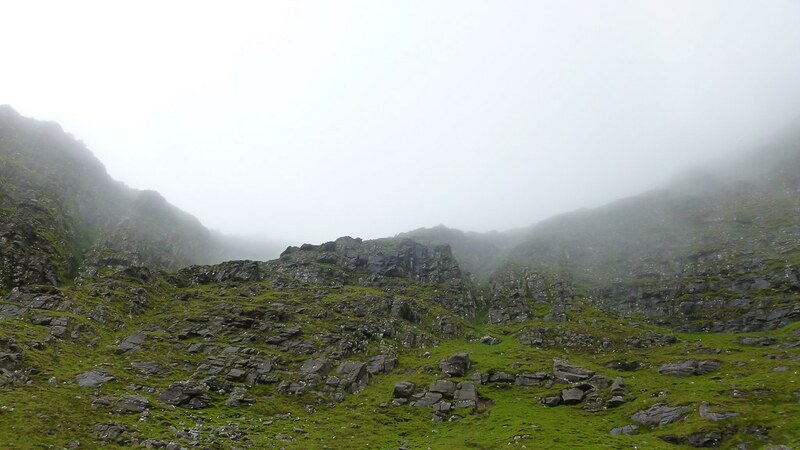 As we climbed higher the weather closed in completely and we got engulfed in more and more mist. I was enjoying my recent purchase of a Mountain Equipment goretex pro jacket as the breathability was working overtime and I felt great! 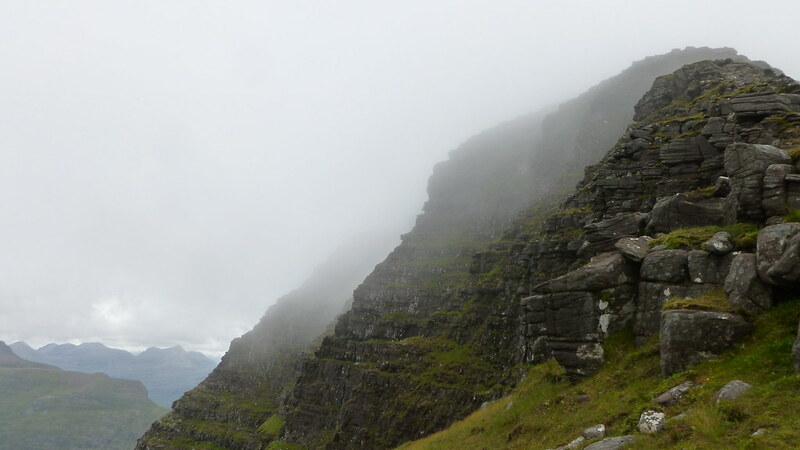 As we reached the top of the ridge we had no visibility at all (but the wind had picked up a lot). This was unfortunate as we knew the top was notoriously difficult to find. 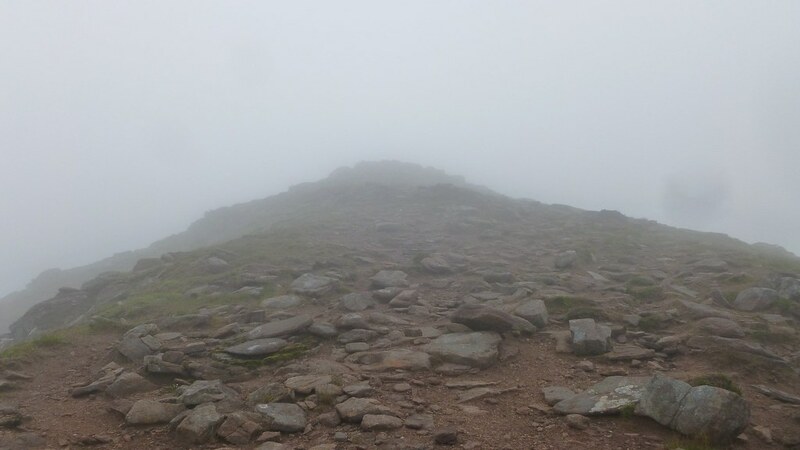 We took the advice to keep further right than we felt we should, took a compass bearing and stumbled along in the mist. Worked to perfection! 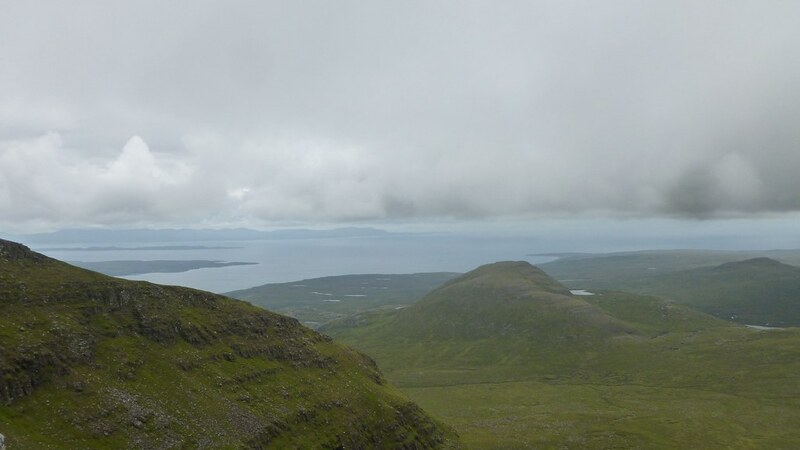 When you stand next to the cairn at the top of Tom na Gruagaich, it feels like an awful long way down so I got off pretty quickly as the wind was blowing like crazy. By this point, we were both wearing all the clothes we had (I’m talking winter hats, scarfs, gloves too!) as it was pure baltic up there. 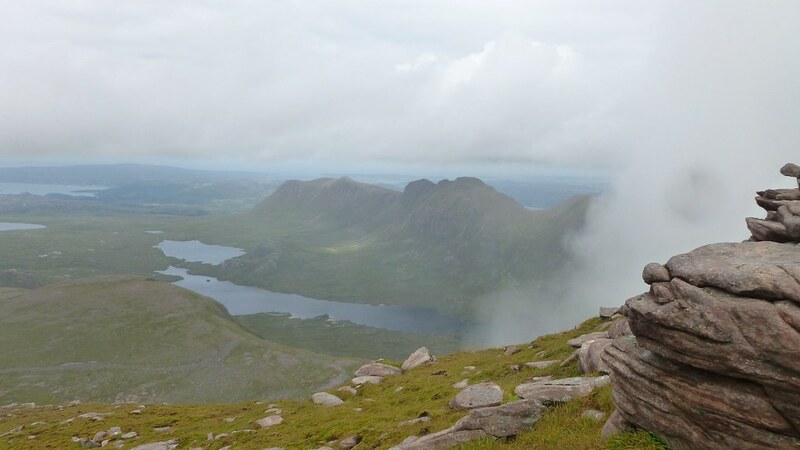 Just goes to show you should never underestimate the mountains. We headed off the summit on another compass bearing and found the way down. 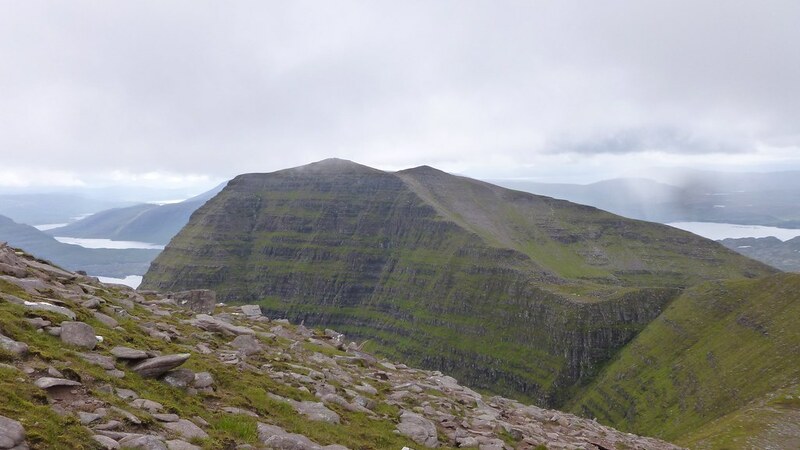 It’s slightly misleading as you come off down the side, then bear right to take you onto the ridge. 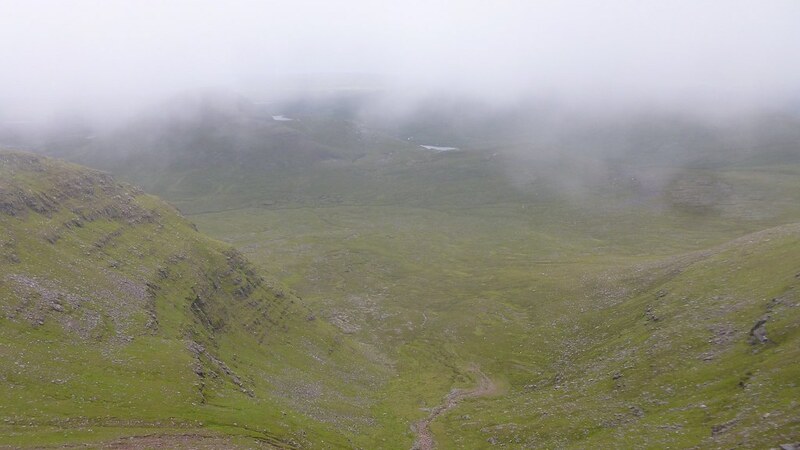 We didn’t realise this and were somewhat confused when suddenly the clouds started to part and it looked like we were headed down in the valley! 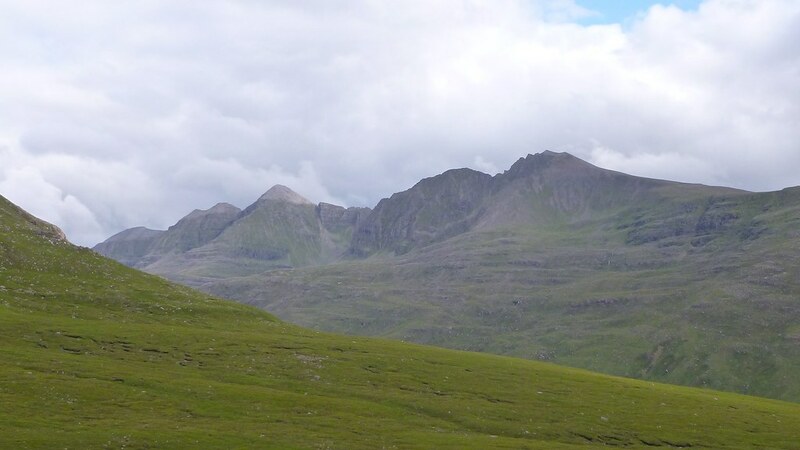 Fortunately it cleared everywhere and we were able to see the path heading back to the ridge, and we were even able to see our next destination and the horns appearing behind! 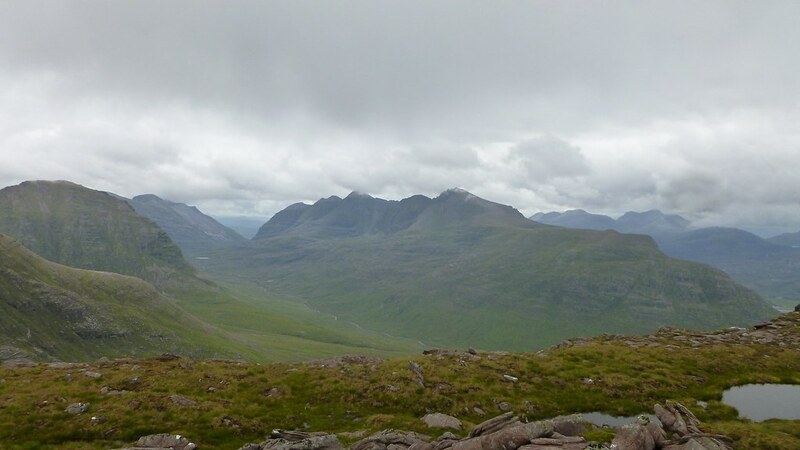 Following the ridge round we got some great views out to the West – Skye, Lewis and Harris, and closer Redpoint Beach, Gairloch and what we thought might be Ullapool. After taking some quick photos (before it disappeared again!) we set off round the ridge. 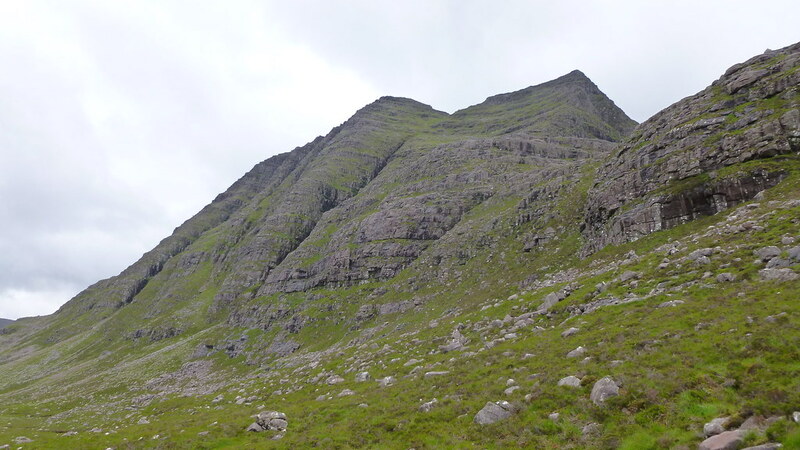 As we started the final ascent to Sgurr Mhor we were able to look back and see our previous summit, and noticed that yes, we had been pretty close to the edge and it was a very long way down! 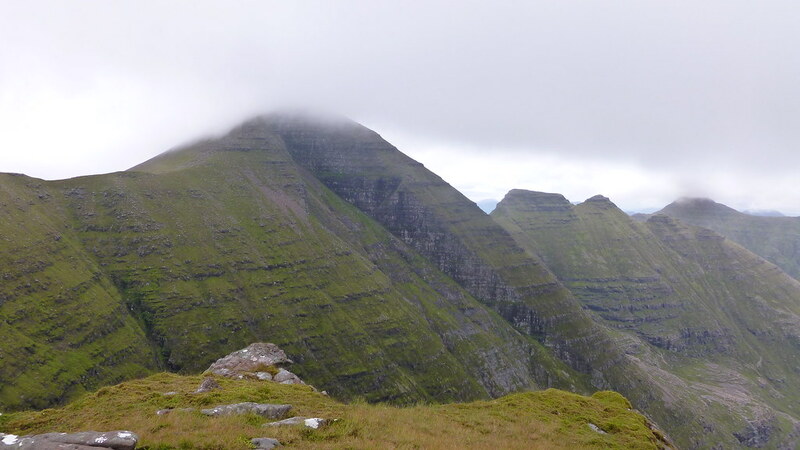 We experienced the great crack (also jokingly called the giant gash) of Eag Dubh na h-Eigheachd and finally reached the top of Sgurr Mhor. 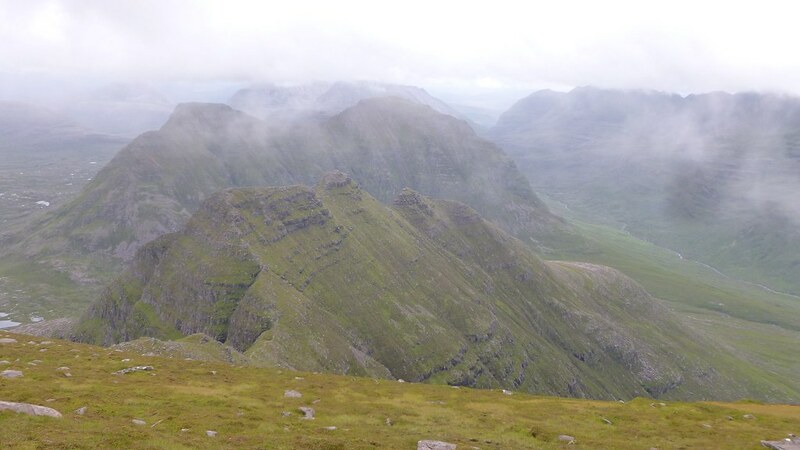 Of course we saw nothing from the top as it had clouded over again so we sat and enjoyed our sandwiches. This was the point where we had to make a decision. How horny were we feeling? 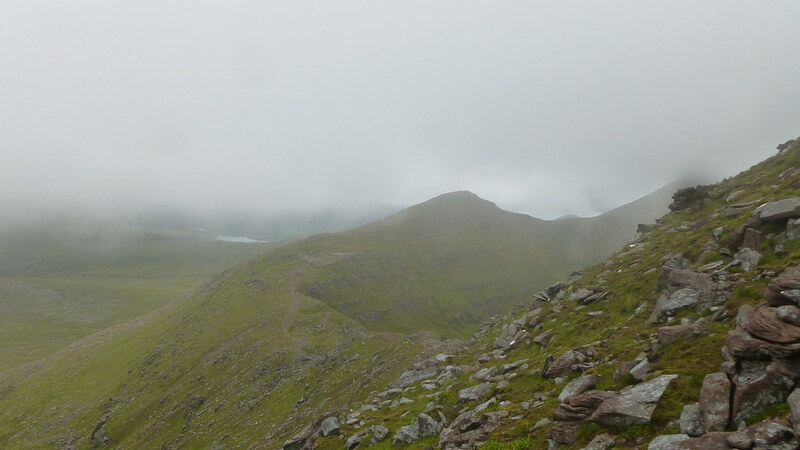 I was happy to go back over the horns, but my companion was feeling a little uneasy, so we decided that as the weather was a bit dodgy and it was better safe than sorry, we would give them a miss this time. 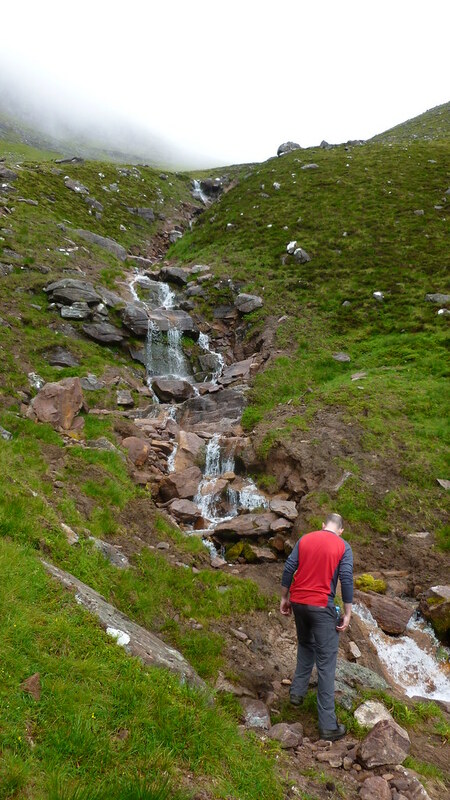 We had read of a route down that didn’t involve retracing our steps so we headed back down, past the gash (decided that was a bit too quick of a way down for us!) 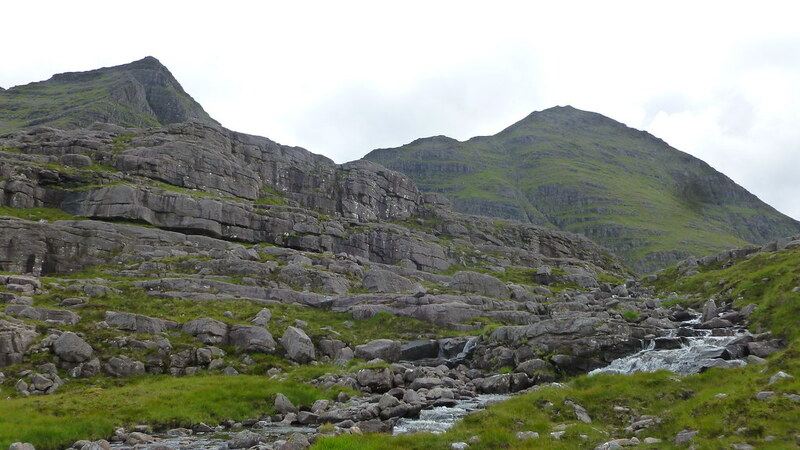 to the grassy green ridge just before the final ascent to Sgurr Mhor. 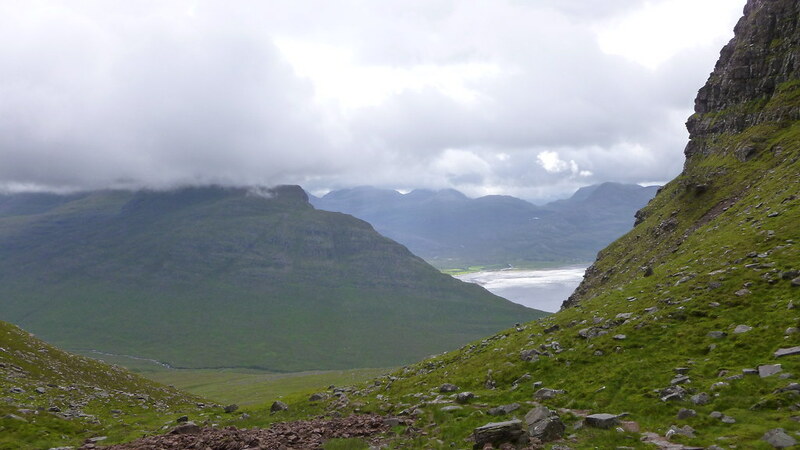 We walked straight down this, it wasn’t too steep nor too boggy and turned right round the back of the mountain. 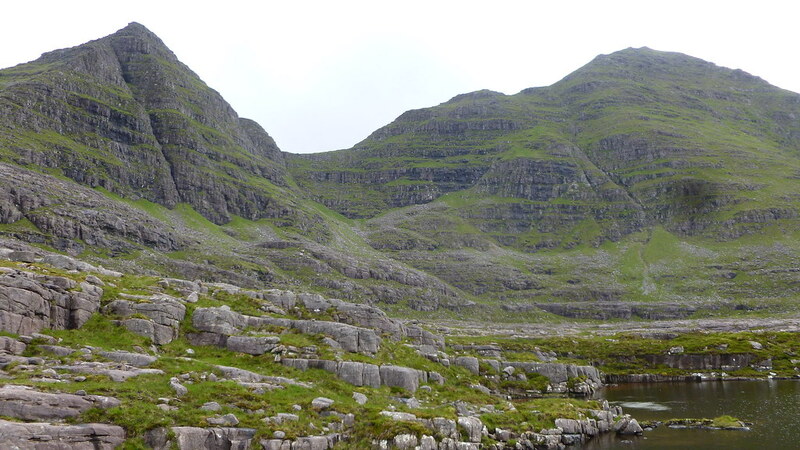 The plan here was to circumnavigate the horns and join the path which goes all the way round from the start of the Beinn Eighe route back to our carpark. However…. We ended up in a huge bog Deadly serious, we could write a thesis on different types of bogs and their inhabitants. There's the red ones with little flowery bits, the same in green and also in fluorescent green. Then the ones that look more grassy, also in different colours. There are wetter ones that have water lying on top. Then there are one that have horrible looking pale greeny gloop lying on top that look like they could be the contents of someones stomach after weeks of being dead. Gross. And then there are the ones that look like safe ground but are actually guerrilla bogs lying in wait. Ughhh This took us ages to get through and my plan of keeping dry feet was looking increasingly unlikely. I could feel the bogs just laughing at me and the hole in my boot. 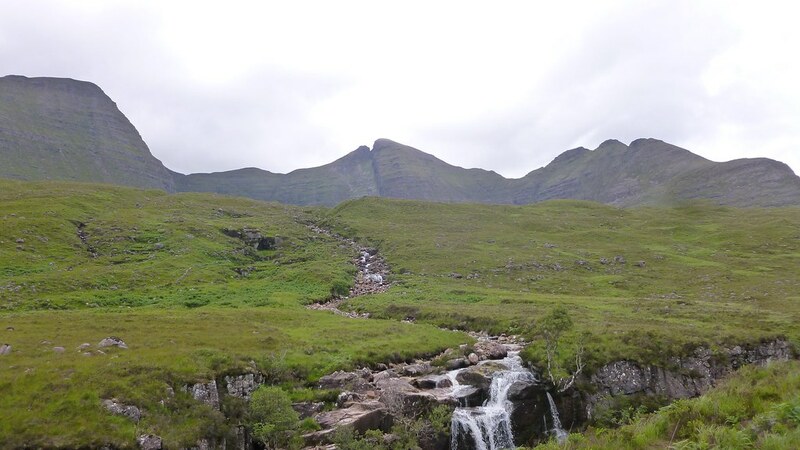 We traipsed round and round, navigating the wee lochans as instructed (when we saw the hugs cliffs from lower down we could see why) and eventually came upon a cairn! The views of the third horn were great though. 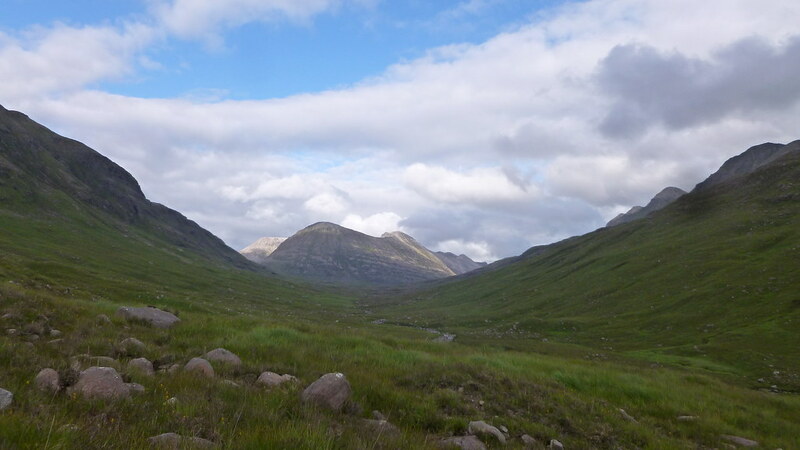 Eventually we found a very vague path, which turned into a better path, and finally became something more recognisable. Looking back - where we'd been!